Have you ever dreamed of running away? Of just leaving the past behind you? Leonie has done just that. She`s moved to another country and got a new job, a new home, a brand new life. . . But when she discovers a box of unread love letters in the bottom of her wardrobe, all ending with the words `please forgive me`, she finds herself drawn to the mystery behind them. Can the unravelling of another person`s story help Leonie deal with her own past and her own secrets? All she knows is that she has to try. Because if the couple behind the love letters had a happy ending, then perhaps she just might too. 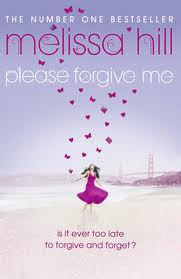 This was my first Melissa Hill novel and I was not disappointed. Although I thought the beginning was a tiny bit slow, I eventually warmed to Leonie and really enjoyed this novel. I found the premise and intrigue of the letters she finds interesting and it kept me wondering along with the slow unveiling of Leonie’s past relationship. And with such lovely, confused characters that you can’t help rooting for combined with the gorgeous San Fransisco backdrop, what’s not to love? There were twists and turns in this story that I wasn’t expecting and although I thought I knew what might happen in the end, there were many surprises along the way. The flashbacks didn’t seem intrusive to the story as Hill expertly weaves them throughout to the point where it just wouldn’t have been the same story without them. One of the scenes that really took me by surprise was when Leonie met Suzanne and it was so far from what I was expecting that I loved it as well as the twist from the traditional storyline I had anticipated. I loved the San Francisco setting, not having read a novel taking place there either at all, or in a long time. Hill’s description had me wanting to hop on a plane for the delectable seafood amidst the sunset and view she described so beautifully. I look forward to reading more Melissa Hill. If you haven’t gobbled up any of her novels yet (Please Forgive Me was her 8th! ), pick up one today. You won’t be disappointed. This story seemed a little bit lost at first for me because the back story wasn’t explained from the beginning. The history unfolds as the current story is told though and eventually the two meet in the present and I can see why Melissa Hill wrote it in this way- it creates tension and mystery and certainly kept me reading. I found the writing to be enticingly simple and quick which is always welcome for a summer read! Main character Leonie is likeable and you want to know how she ends up mending her heart. I also really appreciated her two girlfriends- one from home and one from her new life- they were both realistic and had different personalities which were well thought out to help push the story forward. I loved that Grace was a frazzled mother of twin toddlers and Alex was trying to divorce her husband and start a new relationship- completely different stages of life but both supported Leonie with their friendship. Leonie’s obsession with love letters found in her new apartment was a tiny bit much for me but I can see how they were needed to help her discover what she needed. All in all I enjoyed this read and appreciated the story line. Thanks for the review. This sounds like a good read.